Six years after releasing his album Life Is Good, talented lyricist and Hip-Hop legend Nas released his eleventh studio album, NASIR, on June 15. Being a part of Kanye West’s seven-track, executively produced album roster, it follows the release of Pusha T’s Daytona, West’s ye, and West and Kid Cudi’s collaborative album Kids See Ghost. An album listening party took place on June 14, 2018 under the Queensboro Bridge. NASIRtouches on current cultural topics such as police brutality, poverty, and political injustice. With his unique storytelling flow and social awareness, Nas creates a metaphorical masterpiece that can be globally relatable. “Not for Radio,” featuring singer 070 Shake from G.O.O.D Music and hip-hop mogul Puff Diddy, discusses white supremacists fearing black excellence and pride that should be embraced in the black community. It is about the discomfort of the black community glorifying their godliness, referencing the history of ancient Black Egyptians and “Kemet,” meaning black land, proving that we’ve always been of royalty. In the chorus, 070 Shakes sings “I think they scared of us,” illustrating intimidation of black power. Nas speaks on certain events and inventions, stating that “glocks were created for murder enhancement,” more than likely referring to the growth of black men and women being killed by police officers, as well as the recent school shootings and overall number of African-Americans being murdered. Also, “Abe Lincoln did not free the slaves” refers to the aftermath of the Emancipation Proclamation and how slavery was still going on and could imply that segregation is currently happening, just not as obvious, as it can be seen as “hidden” in politics. 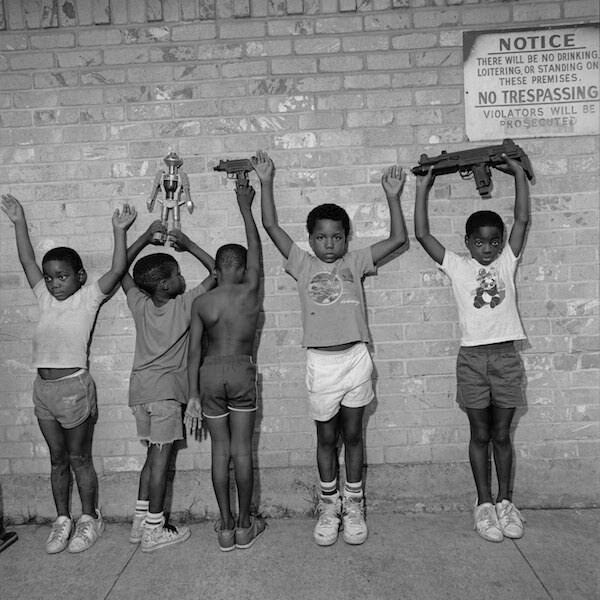 “Cops Shot The Kid,” which samples “Children’s Story” by Slick Rick, one of Nas’ major influences, goes in depth about police brutality, how innocent black children get bullied and abused by police, and the unfair court system. The song starts off with a sample from Richard Pryor’s 1971 stand-up album, Craps (After Hours), discussing the discrimination cops show towards black children who are not causing trouble. Using this sample proves that Pryor’s story is currently relevant. “Won't be satisfied 'til we all die/Tell me, who do we call to report crime/If 9-1-1 doin' the drive-by?” explains how those who are supposed to protect us, are the ones killing us. It shows a lack of trust in those who are supposed to stop violence and not cause it. “White Label” touches on the “lavish” life and feeling like one can have anything and anybody they want, whether it’s high-fashion labels, models, or dining at fancy restaurants. “Bonjour” featuring The World Famous Tony Williams is about the beauty and fascination of women and dating them. French phrases add to the romantic feel of the song, all while also discussing the crack epidemic, violence, and other struggles that were prevalent in ‘80’s New York neighborhoods.